The Luas Red Line segment from Abbey Street to The Point reopened on Sunday – roughly 22 days ahead of schedule. It had closed in May to accommodate Luas Cross City works. “To get that open the guys had a 24/7 schedule put in place and weekend work,” says Gráinne Mackin, the communications director for the Luas Cross City project. The €368 million Luas Cross City construction project started back in June 2013. But the final phase, which involves laying the main infrastructure, started this time last year. The tram tracks are going in and the stops are being built. “As far as we’re aware, we’re on budget and on schedule and we’re about 65 percent through the time frame and the works,” says Mackin. The team have had to contend with plenty of extra work connected to archaeological finds over the past couple of years, but they have managed to stay on track, according to Mackin. Since the project began, archaeological teams have sketched, measured and photographed 390 hidden cellars along the line. When the remains of the original St Thomas’ Church were uncovered 0.20 metres below ground level on Cathal Brugha Street, Transport Infrastructure Ireland got private firm Archaeology & Built Heritage to investigate. Built in the 1750s, the church was destroyed by a fire during the Civil War. In July 2014, the teams also came across human bones while digging at the front of Trinity College. Found 1.5 metres below ground level, the remains belonged to five people. Researchers continue to study them. They aren’t dated yet, but they are thought to be from Viking or medieval times. As well as the round-the-clock construction, Mackin puts the snappy Red Line works down to the fact that extra workers came on board. But this is the case across the city. “Anybody that’s in the city will see how intensive the other work is,” she says. 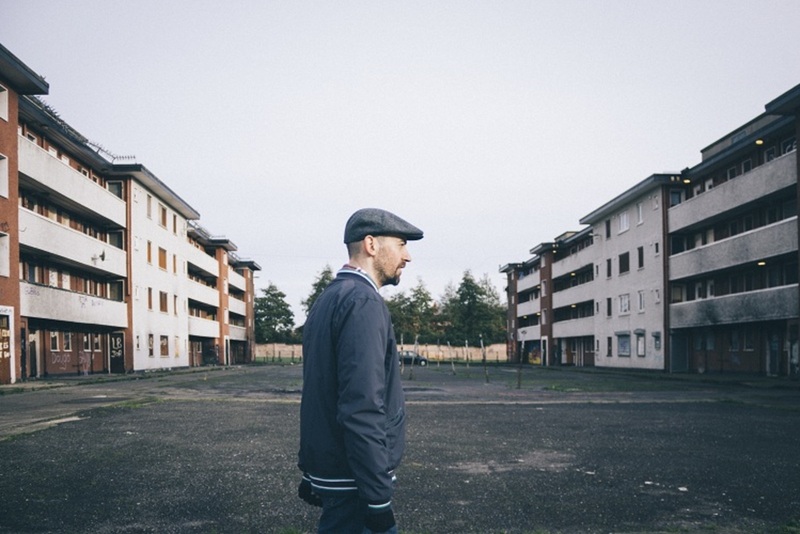 At any one time, there are more than 20 active building sites connected to the Cross City project in the city centre, with 400 people at work across them. The aim is to have the Cross City services up and running towards the end of 2017, with the very first passengers trying it out that November. 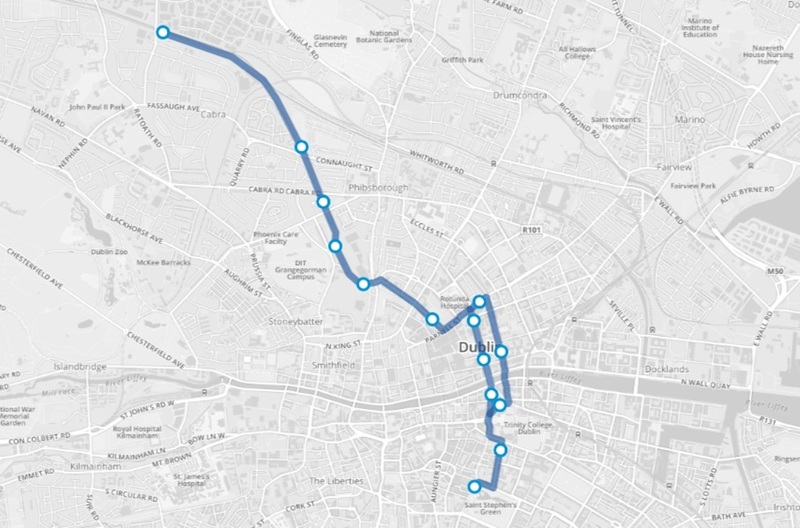 The planned route of the Luas Cross City line, from Stephen’s Green to Broombridge. On Dawson Street, footpaths are being laid and disruptive works are expected to be finished by the end of the year. 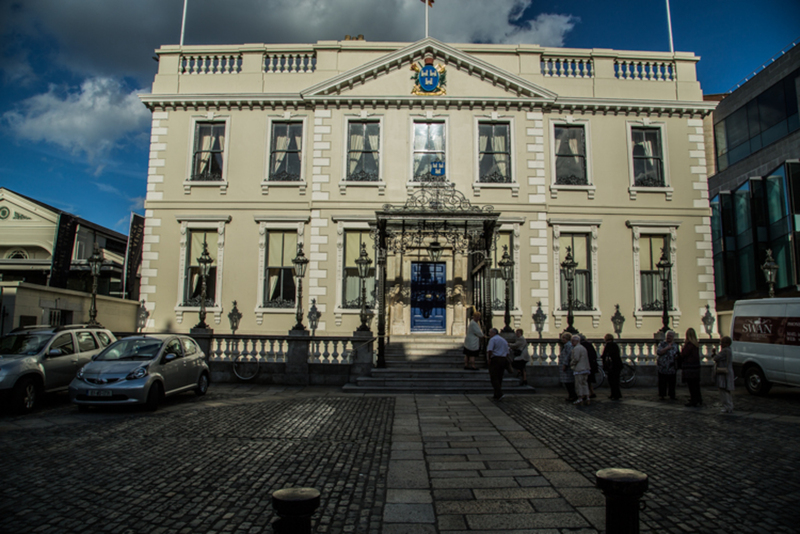 At least, that’s what Dublin City Council senior engineer Derek Dixon told the council’s Transportation Strategic Policy Committee (SPC) last week. Meanwhile, now that the works on the Red Line have come to a close, more progress should be made on O’Connell Street, particularly at the plazas in front of the GPO and north of the Spire. 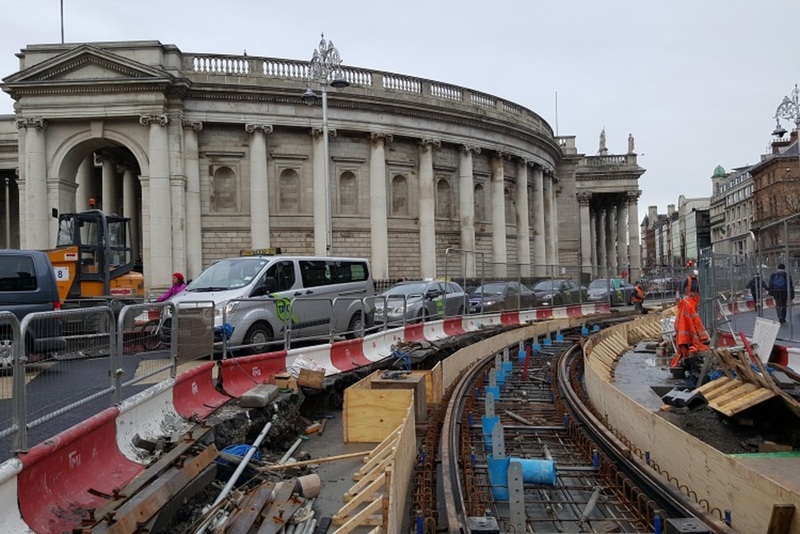 But the end date for the chaotic works at Lower Grafton Street and College Green is still unclear, because they depend on works in other parts of the city finishing first. The next significant piece of work will be at Parnell Street, says Mackin. Dixon told councillors that work will commence at the Parnell Monument by the end of the month. He warned of disruptions at Dominick Street, Parnell Street and Parnell Square. “But again, they are ahead of schedule for some of those works,” he said. He also spoke of major works on the junction of Bolton street and Dorset Street. But those won’t start for another while. Again, they won’t start until other sections of the work are finished. Construction is also planned at O’Connell Bridge before the summer is out. Mackin says this will be one of the most complex parts of the project, as tracks will be laid across both the north quays and the south quays. That is set to start on the August bank holiday weekend, Mackin said. This year we are seeing the most intensive of the Cross City works, says Mackin. They’re causing all kinds of disorder in the city streets, she admits. Generally, she’s found the business community to be supportive. They know the end product will benefit them, she says. Some have complained, though. This time last year, the Irish Times reported the worries of some businesses. Among them were Park Rite, Q-Park, and Carroll’s Irish Gifts. At last week’s Transportation SPC, Keith Gavin of the Irish Parking Association raised the concerns of car-park operators affected by the works. The Luas Cross City team were communicating well with them until the end of last year, he said. But lately, it isn’t cooperating with car-park operators as much. They also say that signage notifying drivers of changes to road routes haven’t been as good. Richard Guiney of the city-centre business association Dublin Town says he hasn’t received too many complaints from that group’s members. The level of complaints is much lower than he’d expected, given the scale of the works, Guiney says. There’s less than when the initial Luas lines were put in place, he said. At last month’s Finance SPC, Dublin Town presented results of its consumer research to councillors in a report on city centre footfall. When the Luas works kicked in last April, footfall declined on Grafton Street, according to the report. Then last August, it declined across the city. Since then footfall on Henry Street has improved and the rest of city has recovered, but on Grafton Street it continues to decline. Transport Infrastructure Ireland, Dublin City Council and the building contractors do a walk-through of the Cross City works in the city centre every month to see how they can make things better and safer for pedestrians. But the chaotic footpaths still seem to put some people off. In a February survey of city-centre shoppers, 7 percent of southside shoppers identified the Luas works as an issue. In a June survey, this figure jumped to 23 percent. This attitude goes along with a decrease in footfall. In that same June survey, 23 percent also said they were more likely to go to the suburbs to shop because of the Cross City works. But 40 percent of the same shoppers said once the improved Luas is in operation, they will see the city centre as a more attractive destination and will be more likely to visit it. In the Luas Cross City’s budget, a significant sum is set aside for marketing the city centre. At the moment, it is running a summer campaign on local and national radio, as well as on posters and digital adverts. 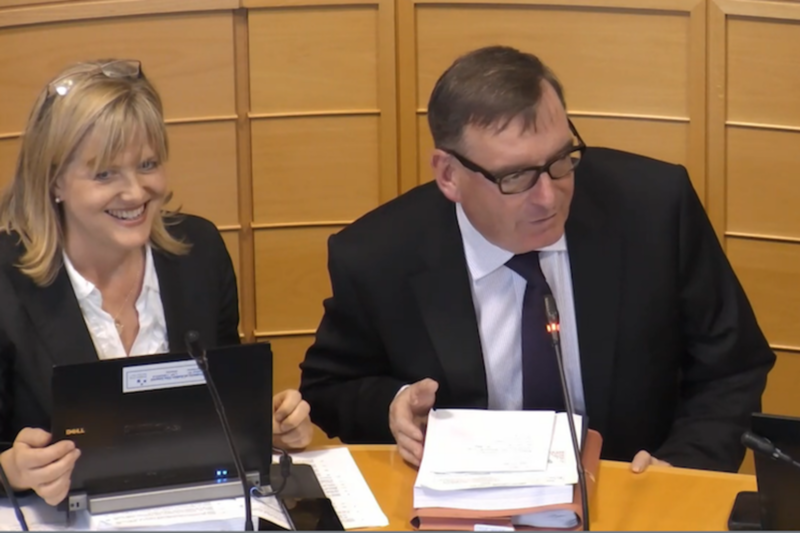 The Cross City team consulted businesses and Dublin Town about how it would be best to promote the city, says Guiney. “The messages that came out of those discussions are included in the ads,” he says. Mackin says the Cross City will put together another marketing campaign at Christmas. And when the new Luas line is finally in operation at the end of next year, there will be a huge marketing push to let people know. It will inform people about new stops and routes and encourage them to visit the city centre. Dublin Town has also built an app to help people find their way around the city, whether they are looking for a car park or a hotel. It should be available by autumn, says Guiney. No mention of the disruption to cycling along the affected routes. The red and white barrier bases are a hazard with cyclists wedged up against them &amp; the constantly changing road surfaces are full of places where bicycle wheels can get trapped &amp; cause accidents. Very little consideration of the vulnerable position they’re putting (already vulnerable) road users in. @Elaine: Indeed cycling around Trinity Corner from College St is lethal at the moment with the bus traffic as it turns the corner. I wonder what the story is when the Luas is finished as I can’t see how there is going to be space for bus/car traffic and a cycle lane.